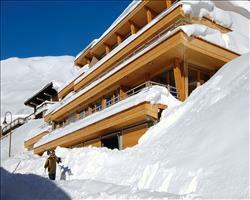 There are 37 holidays to Tignes for 2 adults, 0 child and 0 infant on 15 February 2020. With an excellent February snow record, numerous accommodation options to suit everyone and a location in one of Europe’s best ski areas, Tignes is ideal for a half-term getaway. If you’re planning on taking advantage of the week off school to introduce your children to skiing – rest assured this is a brilliant place for families and beginners. The ski school and slopes cater fantastically for all ages and abilities – children as young as 3 can learn to ski in special children’s areas in group or private lessons. There’s a mini Snowpark and teens will love the Swatch park and half-pipe. You’ll find a variety of runs that everyone can enjoy together too as well as fun activities after a day on the slopes thanks to a bowling alley, cinema, sports centre and more. Groups looking for an escape to the mountains will enjoy a variety of terrain to suit all abilities as well as the best group-friendly accommodation in town and terrific après for those looking to party. 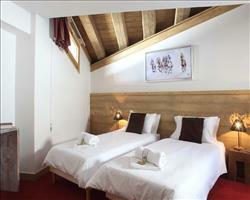 Choose between cute alpine chalets, chalet hotels, ski hotels and apartments. Catered chalet and hotel holidays are ideal if you want to do as little work as possible while self-catering apartments can be brilliant for anyone looking to ski for cheap. 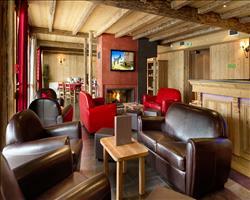 Book somewhere near the slopes, lifts or après depending on what suits you best. To make your week as special as possible, look through our luxury accommodation – we have chalets, hotels and apartments with 4 and 5 star ratings offering terrific fitness and wellness facilities. Our packages including flights and transfers offer the most hassle-free mountain getaways and we also have self-drive and accommodation-only deals available.